Born in Roundfort, Co. Mayo, a relation of Denis Murphy, Cuddoo. 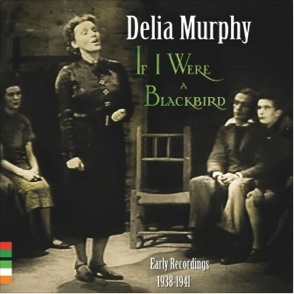 Delia Murphy Kiernan (16 February 1902 – 11 February 1971) was a singer and collector of Irish ballads. She recorded several 78 rpm records in the 1930s, 40s and 50s. In 1962 she recorded her only LP, The Queen of Connemara, for Irish Prestige Records, New York, on the cover of which her name appears alongside the LP title. 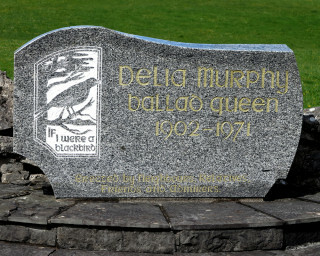 This has caused confusion in the minds of some people who think she is known as Delia Murphy, The Queen of Connemara. The LP title is taken from one of the songs on the album. She was one of the singers who used to be regularly featured on the Waltons Programme on RTE Radio. She was born in Ardroe, Roundfort, County Mayo, Ireland. Her family was regarded as being wealthy. She is reported to be related in some ways to the late Denis Murphy, Cuddoo. Her father, John Murphy, from nearby Hollymount, made his fortune in the Klondike Gold Rush. While in America, he married Ann Fanning from Roscrea, County Tipperary. They returned to Ireland in 1901 and purchased the large Mount Jennings Estate in Hollymount. John encouraged Delia’s interest in singing ballads from a young age. He also allowed Irish travellers to camp on the estate. According to her own account, the young Delia befriended the travellers and often sat around their campfires with them and learned her first ballads at their campfires. One of these travellers, Tom Maughan, who was around her own age, introduced Delia to ballad singing. She attended the local primary school at Robeen where she was further encouraged to sing and she was continually getting new songs from her father, from books and from people in her home village. 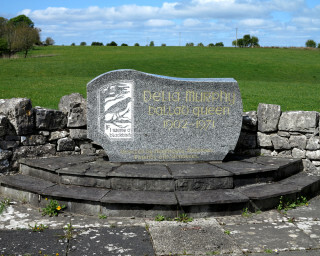 Delia was further educated at Presentation Convent, Tuam; Dominican College, Dublin; and University College Galway (UCG), where she graduated with a Bachelor of Commerce degree. In UCG she met Dr. Thomas J. Kiernan, and they married in 1924, on her 22nd birthday. Kiernan then joined the Irish diplomatic service. His first posting was to London. While there Murphy sang at many venues including gatherings of Irish exiles and became quite well-known. 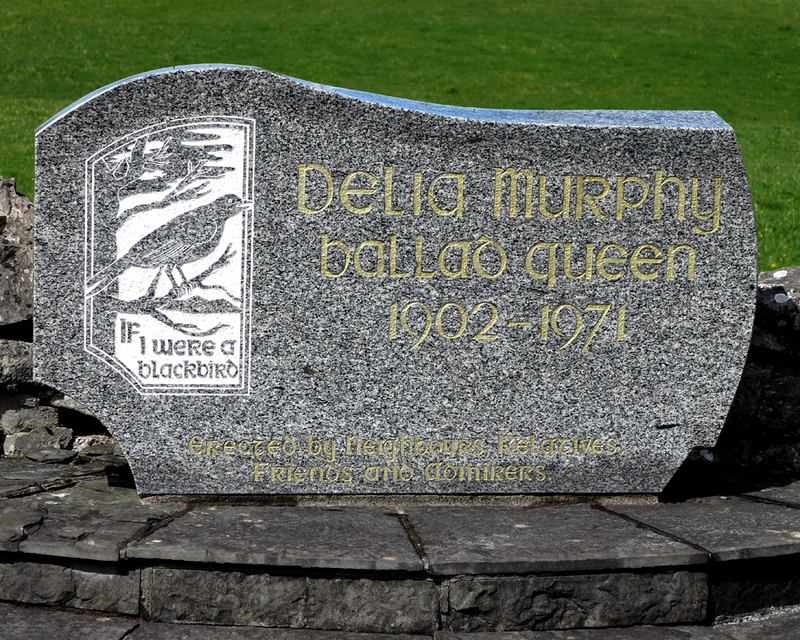 In 1939 she recorded The Blackbird, The Spinning Wheel and Three Lovely Lassies for HMV. In 1941 Kiernan was appointed Irish Minister Plenipotentiary to the Holy See in Rome. The Irish legation was the only English-speaking legation to remain open after the United States entered the war. Murphy became one of those who assisted Hugh O’Flaherty (the “Vatican pimpernel”) in hiding Jews and escaped allied soldiers from the Nazis. In 1943, when Italy changed sides, many escaped POWs were helped by the legation to leave Italy. In 1946 she was awarded to Dame Commander of the Equestrian Order of the Holy Sepulchre. Delia and Tom had four children and throughout her life Delia balanced writing, recording and performing her songs with a hectic life as the wife of one of Ireland’s most celebrated ambassadors. Kiernan later served as Irish High Commissioner and later first Ambassador in Australia, and later in Bonn, Ottawa, and Washington, D.C.. In 1961, while she was living in Ottawa, Murphy made the recording of “The Queen of Connemara” produced by Kenny Goldstein. Murphy and Kiernan bought a farmhouse in Jasper, Ontario, near the Rideau Canal where she spent most of her time, even after Kiernan was posted to Washington. Tom Kiernan died in December 1967. Delia Murphy was the guest on Desert Island Discs on 15 April 1952; her selected luxury was a still for making poteen. During her illustrious singing career Delia made records in London, Dublin and New York, performed regularly in concerts and on radio and appeared in the film The Island Man, filmed on the Blaskets. Delia Murphy was a popular extrovert, who liked and was liked by many people. Throughout her years of travel and living abroad she always proudly called Mayo ‘home’ and her diplomat husband promoted modern Ireland abroad in countries like Australia and the USA, home to so many people of Irish descent. Between 1951 and 1955 she returned to live in Ireland, and it was in that period that she became a singer and performer in her own right. 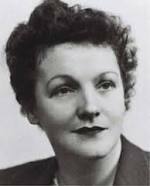 She began touring Ireland, giving concerts in local halls and by 1952 she was performing in England, where her songs, particularly The Spinning Wheel, and The Moonshiner, were to be heard regularly on BBC radio. By 1969 Murphy’s health was in decline. In November of that year she sold her farmhouse in Canada and returned to Ireland. She lived in a cottage in the Strawberry Beds, part of the suburbs of Chapelizod, in Dublin. 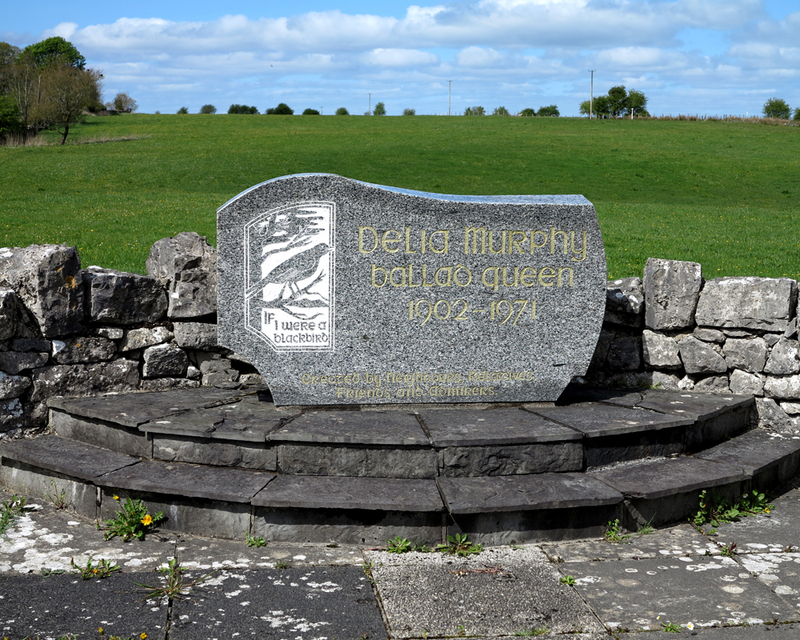 Delia Murphy died of a massive heart attack on 11 February 1971. She had recorded upwards on 100 songs in her lifetime. In a fitting tribute to Delia, Liam Clancy (of the Clancy Brothers) once said: “I think her main contribution was that she made us all feel that we could respectably sing our own (Irish) songs” . This page was added on 25/04/2015. We’ve just visited the Mount Jennings estate, got some good pics. Sadly we could only take photos from the roadside though, which is a shame considering we’d travelled from England. My husband’s great, great grandparents are believed to have rented land on the Jennings estate. Does anyone have photos of the original house? My great-grandfather John went to Denver Colorado, not the Klondike, to work on thè railway, and got involved with the Denver gold rush. There he met Anne Fanning, who was working as a housekeeper for her uncle, the parish priest of Denver. Although Delia’s house, Mount Jennings, was demolished the doorway was salvaged and has been the doorway at Newpark House, Ennis since then. Declan, thank you for that info and many thanks for visiting our site. Snippets of information such as yours are really valuable. Thanks again.